December 2014: Pray for the leaders and members of an Indian congregation under attack for its ministry with Dalits (lower caste). The congregation, in the village of Kongalnagaram in the southern Tamil region of India, is part of Gilgal Mission Trust, a member church of Mennonite World Conference. One Sunday, a group of higher caste orthodox Hindus from the local community entered the worship centre, started to attack believers and ordered the pastor to stop the worship service. The reason for the attack, according to reports, is that those of higher caste object to the Christian influence, which advises Dalits of their human and moral rights. The higher caste fears that they will face a labour shortage if Dalits get further education and seek other jobs. Local community leaders have formed a peace committee to analyze the situation. “We hope to solve the issues with peace,” wrote Paul Phineas, the president of Gilgal Mission Trust. “Please pray that the high caste community (Gounders and Naidus) should come [to peace talks] to compromise and repent." 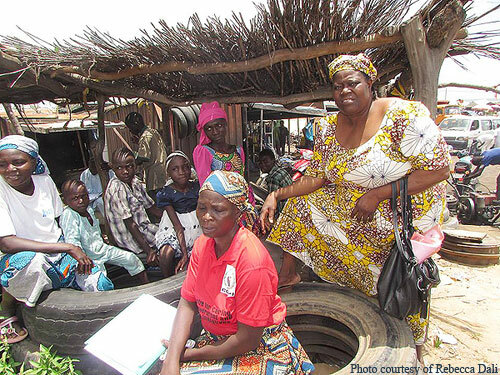 December 2014: The MWC Peace Commission has issued an urgent appeal for prayer, for the Church of the Brethren in Nigeria (Ekklesiyar Yan’uwa a Nigeria – EYN), who is experiencing horrendous violence and persecution of the Boko Haram organization. Read more here. November 2014: Pray for brothers and sisters in Bhutan, where the door is closed for the gospel and they cannot openly share about Jesus or build a church. The only official religion is Buddhism and if caught sharing the gospel believers are arrested and imprisoned. One brother has been in prison for over 2 years. Pray for the material needs of these believers and that God will call people to follow Jesus in this place. 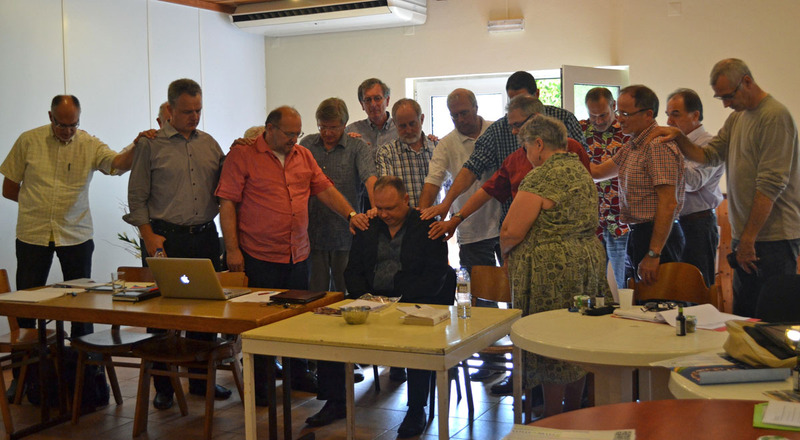 October 2014: At meetings in mid October, the leaders of European Mennonite churches prayed for the Mennonite church in Ukraine and urged others in the global Anabaptist communion to hold up this church in prayer. They ask for prayers for wisdom to be faithful disciples in times of war and violence, prayers for strength and support as the Ukrainian church is reaching out to a great number of refugees, and prayers for wisdom as the church walks with people who are suffering. September 2014: The MWC Peace Commission would like to draw attention to several situations that are in urgent need of prayer: the Mennonite presence in Viet Nam; Israel – Palestine – Gaza; and Ukraine – Russia. Click here to read the call to prayer from the Peace Commission. September 2014: Join in prayer with other Christian World Communions for Ekklesiyar Yan’uwa a Nigeria (EYN, the Church of the Brethren in Nigeria) as they face violence being perpetrated by Boko Haram. This situation rose to international concern with the abduction of the Chibok girls, the vast majority of whom are members of EYN. Since then several parents of the girls have been murdered by Boko Haram. Also, numerous churches and thousands of homes of church members have been destroyed. Various ministries of the church have had to be closed. Let us hold everyone affected by this violence in our prayers and may our almighty God bring peace. August 2014: Pray for the young people who are beginning their service terms around the world with the Young Anabaptist Mennonite Exchange Network (YAMEN!) program in mid-August. YAMEN! is a joint program between Mennonite World Conference and Mennonite Central Committee. August 2014: Pray for the Mennonite World Conference staff and volunteers who are working hard to prepare for the 21-26 July 2015 Assembly in Harrisburg, Pennsylvania. Pray that international participants will be able to get visas and the necessary resources to travel to the United States to worship and fellowship with sisters and brothers from the global Anabaptist communion. More information about Pennsylvania 2015, including registration can be found on the MWC website. July 2014: Pray for the Mennonites of Vietnam and their international partners as they determine how to respond to recent attacks on members of the unregistered Mennonite Church of Vietnam. In June, security police assaulted a large group of pastors and theological students gathered in their church centre at a provincial town just north of Ho Chi Minh City. Large numbers of men stormed the building, assaulting students and church leaders. All 76 people were taken in trucks to a police station. The attacks continued for several days after the raid as gangs continued attacking the building, throwing bricks, stones and rotten eggs. International persons acquainted with the Mennonite churches in Vietnam are considering an appropriate response to express solidarity with their brothers and sisters there. The Mennonite presence in Vietnam also includes a registered group called Vietnam Mennonite Church, which became a member of Mennonite World Conference in 2009. Click here for more information. July 2014: Let us pray for the young people who are finishing the Young Anabaptist Mennonite Exchange Network (YAMEN!) program in the middle of July. We thank God for their voluntary service for the past year and pray for safe travels and a good transition back to their home communities and churches. YAMEN! 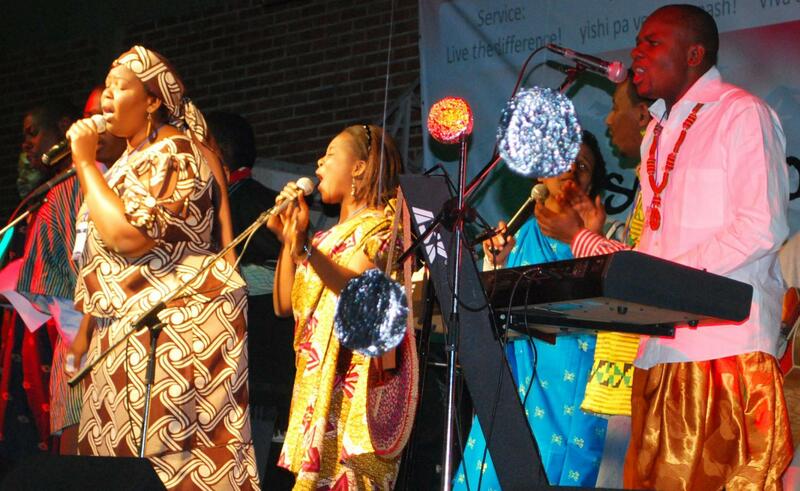 is a joint program between Mennonite World Conference and Mennonite Central Committee. May 2014: Pray for Sang-Min Lee, the first Mennonite Conscientious Objector in South Korea. He was recently sentenced to 18 months in prison for refusing, on the basis on his faith, to complete his mandatory military service. Pray for peace and joy for Sang-Min and for his parents. His parents are Christians, but didn't agree with his stance on the peace position, and thus rejected this action by their son. Pray also for the Anabaptist churches in South Korea, which are few, but should come together with a unified voice on peace issues. Most Christians are very quiet on the CO issue because it requires political action that usually leads to conflict and division. We need much courage to step out of our comfort zone, to a faithful life that is risky but leads to abundant life in Christ. Click here to join Bearing Witness in a letter writing campaign to support and encourage Sang-Min, or you can send a message of support through MWC. February 2014: Pray for the GKMI churches in Indonesia who are dealing with the effects of a 14 February volcano eruption on Mount Kelud on the island of Java. According to news reports, 100,000 people had to be evacuated and three international airports were closed after the eruption. The impact is “quite huge,” wrote Adhi Dharma, the general secretary of the GKMI, an MWC member church. “Some of our congregations in east Java are impacted; one church is becoming a temporary shelter for victims surrounding the church. We are waiting for further information. It is difficult to reach the places impacted because on some roads the ash is 15 centimetres high.” Dharma added that they are still struggling to help victims from other recent flood and volcano disasters. January 2014: Prayer Request. The réseau mennonite francophone (Francophone Mennonite Network) which functions under the auspices of Mennonite World Conference, is planning a consultation on theological education and leadership training 26-28 February 2014 in Kinshasa, Democratic Republic of Congo. Representatives of French-speaking churches from three continents will attend, including the following countries: Benin, Burkina Faso, Congo, Côte d'Ivoire, Chad, France, Switzerland, Canada and the United States. The goals of the consultation include: 1) promoting pastoral and leadership training that includes contextualized Anabaptist theology to reinforce Mennonite congregations' identities, 2) learning to know each others’ contexts in terms of churches and theological education, 3) sharing the strong points and weaknesses of theological education in each country, 4) discovering ways to develop and pool French-language resources, such as institutions, literature and teachers. French-speaking Mennonites have few seminary level schools of their own and leaders are often trained in other contexts. For this reason, teachers from both Mennonite schools and non-Mennonite schools where Mennonites are trained have been invited to discuss how Anabaptist perspectives can be introduced both to students and in non-Mennonite schools, while recognizing at the same time that Mennonites are also part of a larger Christian family. Theological education in countries of strong Muslim presence will also be part of the agenda. The planning committee includes Nzuzi Mukawa, Eric Mukambu, Noé Kuka, and Muller Ndunzi from the Congo, and Neal Blough representing the European committee of the réseau francophone. January 2014: Praise God for the 22 women – from Tanzania, Kenya, Congo, South Africa, India, Korea, Paraguay, Colombia, Honduras, Guatemala, and Mexico – who received the International Women’s Fund scholarships awarded by Mennonite Women USA (MW USA) for 2014. These women are all studying theology and church leadership in local Bible schools, colleges, or universities, to prepare for pastoral leadership, teaching, and pastoral care in their communities. MW USA annually awards $10,000 to be divided among women who are referred by local church leaders. These scholarship funds have assisted more than 80 women over the past 15 years. Graduates have gone on to serve in significant leadership roles in their congregations, conferences, and internationally, with organizations such as Mennonite World Conference. Visit MW USA’s website for a complete list of the 2014 grantees. January 2014: Pray for the members of the MWC delegation at the second of five annual meetings of the International Catholic/Lutheran/Mennonite trilateral dialogue on baptism, which will take place 27-31 January, in Strasbourg, France. The purpose of this trilateral conversation is: To continue on the paths of increased mutual understanding and cooperation on which these churches have advanced in recent years by focusing on foundational matters concerning the understanding and practice of baptism. To help one another grow in faithfulness to Jesus Christ as we face the pastoral and missional challenge to the practice and understanding of baptism in our time. Members of the MWC delegation are: Alfred Neufeld, chair (Paraguay); Fernando Enns (Germany); Rebecca Osiro; (Kenya); John Rempel (Canada); Larry Miller, secretary (France). January 2014: Pray for the three MWC member churches in Colombia as they prepare together to host the MWC Executive Committee when they meet in Bogotá, Colombia in May 2014. The three churches are: Iglesia Cristiana Menonita de Colombia (Mennonite Church of Colombia), Iglesia Hermandad en Cristo (Brethren in Christ Church), and Iglesias Hermanos Menonitas de Colombia (Mennonite Brethren Church of Colombia). 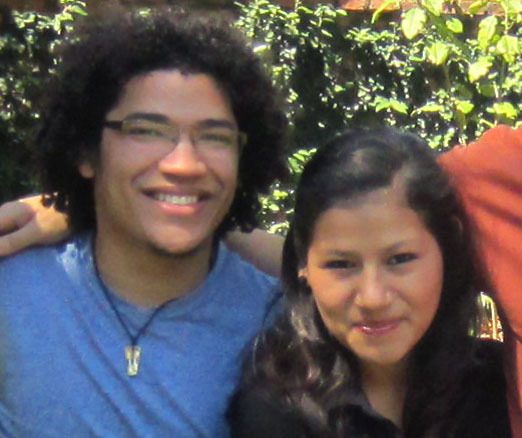 January 2014: Pray for Christian Peacemaker Teams (CPT) in this exciting time of transition. CPT gives thanks for the work of outgoing director Carol Rose and is happy to welcome Sarah Thompson as the new Executive Director. Please pray for CPT in this time of ongoing transition and for their partners and teams around the world. Photo from CPT website. January 2014: Pray for the Kutuzivka Mennonite Church in Ukraine which is building a new church in the neighbouring village of Molochansk where most of the members live. Around 70 people attend the church, with half under the age of 40. A depressed economy presents challenges. The church is part of the Christian Union of Mennonites Churches in Ukraine.